First a very quick Italian lesson. The verb to hunt is cacciare, pronounced cah-chya-ray. Cacciatore, pronounced cah-chya-tor-ray is the noun derivative, meaning hunter. 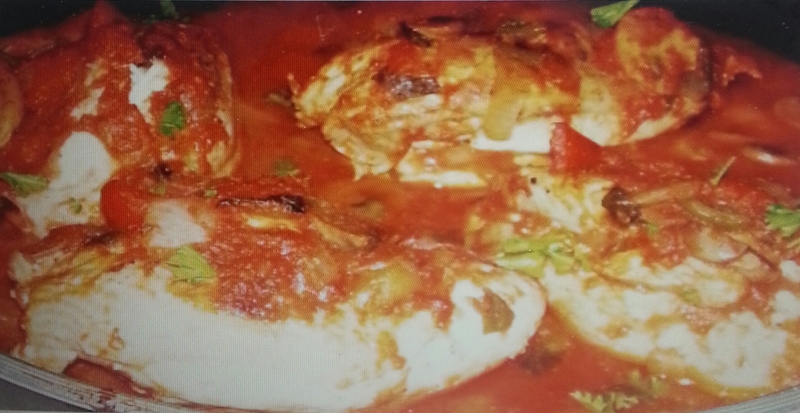 Hence, Chicken alla Cacciatore means Hunter Style Chicken or chopped up in pieces. Despite the name, this dish is very tasty and you get to chose the pieces that you prefer from the casserole both white and dark meat. 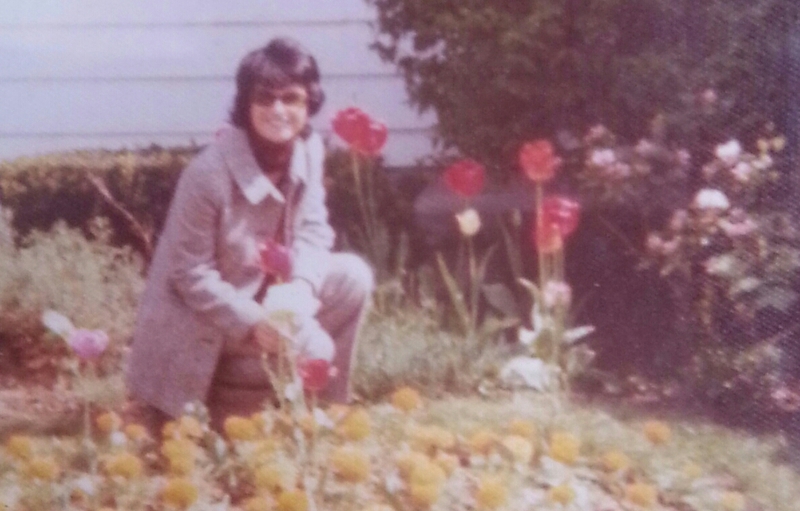 My mom Sara perfected this dish which my dad had taught her how to make.. In fact it was so good that we entered it in a cooking contest. It didn’t win but in my book it was #1 and is still the recipe I use to make this great popular Italian dish. Completely cover the bottom of your baking pan or ovenware with Italian olive oil. Places pieces of chicken (salt and peppered if desired) and sliced onion in the pan or ovenware and place in a 350. degree oven for 1 and ½ hours. In a frying pan slowly fry thinly sliced peppers until they are soft. Pay attention not to burn the skin of peppers. Drain the peppers on paper toweling. After 1 ½ hrs. place the peppers and peas in the pan with the chicken , making sure no pieces of chicken are stuck to the bottom of the pan. If so add a bit more olive oil to keep the chicken from sticking. Sprinkle a few leaves of fresh basil throughout. Lightly crush the Italian tomatoes with a potato masher or a fork and add the wine to the tomatoes. Pour the tomatoes and the wine over the entire combination of chicken, peppers, peas, onion and basil. Let the casserole simmer in the oven for another 15-20 minutes. This colorful dish makes a most attractive and appetizing casserole. Serve hot. Tested in theTHASC kitchen from the kitchen of Mamma Sara. My father always makes Chicken Cacciatore, but he puts potatoes in it also. The recipe is Not hard to make, but it takes almost 2 hours to cook, but it’s well worth it when it’s done. I guess your sister having the same name as your mother most have been an honor. Well you must have got your cooking skills from your mother, because you are a really good cook,not like your sister. I also got my good cooking skills from my mom, l have also a sister who could not pick up the cooking skills from our mom. It has to be ln your blood, l guess it’s just ln ltalian thing. Well, l haven’t made this recipe ln a while, l guess l will gave to try making lt again. Hopefully it looks and comes out like yours in the picture.